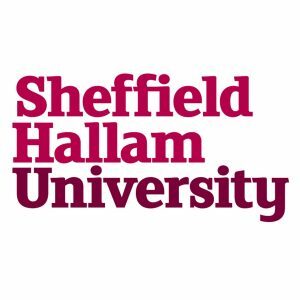 The Sheffield Hallam Postgraduate Research Students’ Society is currently accepting proposals from Postgraduate students and ECRs (who are within one year of completing their PhD) for 20 minute papers and creative performances on the theme of ‘the invisible.’ Proposals should take the form of a 250 word abstract and short biography. This is an interdisciplinary conference, and as such we welcome entries from a variety of fields: English Literature, linguistics, history, psychology, sociology, film studies, tourism, politics, sciences, etc. We also welcome posters for a display during the event. Invisibility, absence, the unseen, and the forgotten are common themes in a variety of mediums. In literature they are devices through which suspense is built around absent friends and relatives, horror through ghostly apparitions which question what it means to be present, and romance and mystery via lost or forgotten letters. In British politics, with the Brexit vote, we have been encouraged to think about what it means to be present and have a voice, and the concomitant responsibilities of speaking. And in contemporary discussions surrounding refugees and immigration we find that so often the voices of those refugees are very much absent. This conference encourages discussion on what it means to be invisible, the responsibilities of being visible, and the politics behind forgetting and remembering. Applications should be submitted to invisibilityconferenceshu@gmail.com by 1 April 2019. Follow the Twitter account @shsuprss for updates, including keynote speakers who will be announced in February.